The UNEVOC TVET Leadership Programme 2017 commenced today at the UNESCO-UNEVOC International Centre, Bonn. Twenty two mid-to-senior level TVET leaders from around the world, including those from UNEVOC Centres, will be trained for two weeks to hone their skills for transformational leadership in TVET. The inaugural session of the UNEVOC TVET Leadership Programme included the addresses by Mr. Peter Thiele from the Federal Ministry of Education and Research (BMBF) Germany, and Mr. Roland Lindenthal from the Federal Ministry of Economic Development and Cooperation (BMZ), Germany. 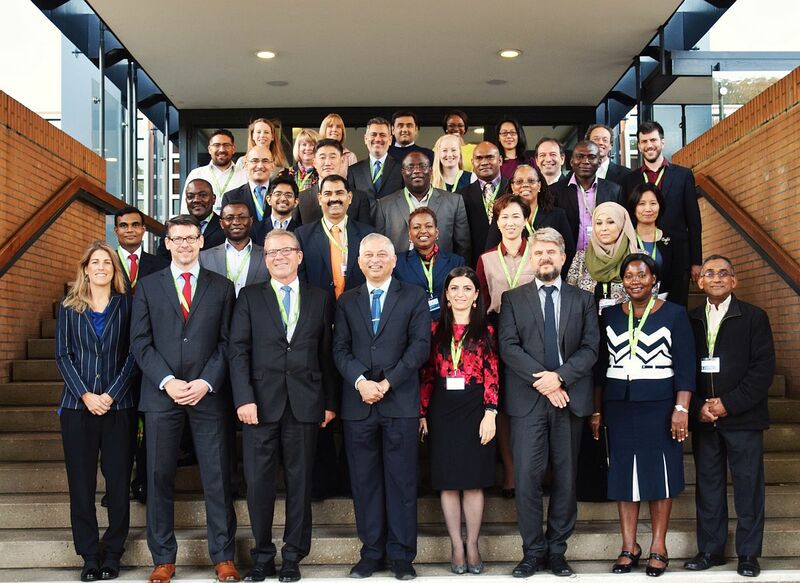 The UNEVOC TVET Leadership Programme provides a unique platform for networking, seeks to promote and expand the community of proactive leaders, and to strengthen the collaboration among its participants. The Programme brings together TVET experts and participants in a highly engaging environment, focusing on three key elements imperative for transformative leadership in TVET: “vision for change”, “knowledge for change”, and “skills for change”. International experts lead the modules and special lectures, explaining the latest developments in policy and practice, and present the latest knowledge in their respective fields. The modules are hands-on and interactive, with practical exercises, intense group work, and the sharing of experiences and case studies. The participants at the Programme this year represent a diverse pool of institutions spanning across the following countries: Armenia, Australia, Cameroon, Chile, Ecuador, Fiji, Ghana, India, Kenya, Malta, Mongolia, Qatar, Republic of Korea, Republic of Seychelles, Spain, Sri Lanka, St. Kitts, Trinidad, Uganda and Zambia. To learn more about the Programme, please visit the UNEVOC TVET Leadership Programme page.